Nepal’s monsoon season typically runs from June to early September. Due to climate change, monsoon season has become increasingly erratic over the past several years, with long stretches of drought followed by heavy rainfall that damages crops and threatens food security. Additionally, monsoons cause deadly flooding and landslides, which present additional obstacles for aid workers trying to provide recovery and health assistance in the aftermath of the 2015 earthquakes. Food security, flooding and landslide events, triggered by monsoon season and exacerbated by the 2015 earthquakes also pose multiple health issues. Access to food is a prerequisite for health. Prior to the 2015 earthquake, Nepal was already experiencing agricultural deficiencies due to variable monsoon patterns, believed by many to be a consequence of climate change (thethirdpole.com). Nepali farmers depend on the regularity of monsoon season to produce the requisite level of crops to ensure Nepal’s food security. Too much rain floods the crops, while too little rain delays the harvest. This season accounts for 60 to 90 percent of the country’s annual precipitation, making it crucial for Nepal’s agriculture-based economy—the source of approximately 33 percent of Nepal’s GDP (Nayava 2 and thethirdpole.net). Many farmers lost their livestock, crops, food stocks, and irrigation systems due to the earthquake and are unable to harvest again until 2016 (un.org). Those who successfully planted crops are concerned about the risks of monsoon season. 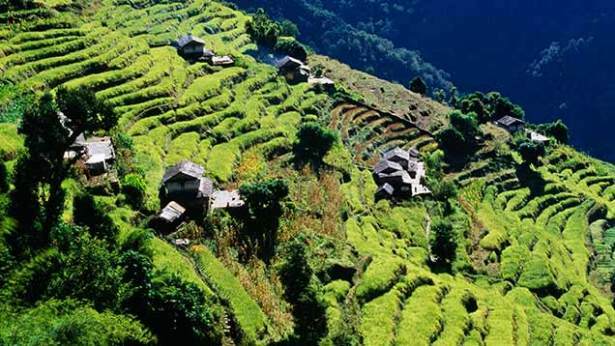 The earthquake created fissures in stepped terraces along the foothills of the Himalayas, where farmers grow rice, wheat, and maize. Farmers worry that rainstorms may trigger the collapse of unstable terraces, precipitating landslides, destroying crops and causing more deaths. The Nepal earthquakes compromised local food production, while monsoon season further threatens crop sustainability, thereby jeopardizing Nepali food security and public health. Landslides and flooding caused by monsoon season are a major concern each year, but especially since the 2015 earthquake further destabilized Nepal’s landscape and left thousands of people homeless. Historically, monsoon rains have precipitated the failure of weak mountain slopes, causing landslides that led to widespread human loss. 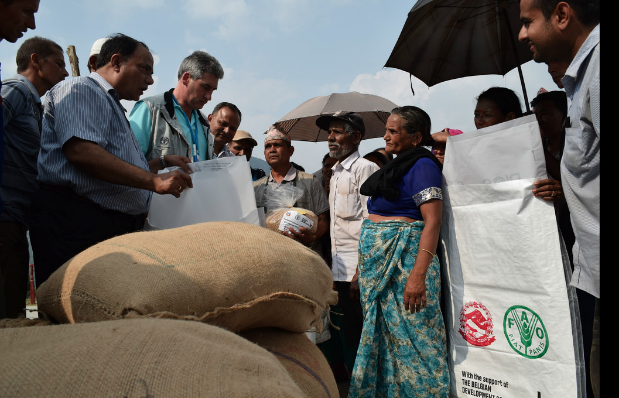 Subsequently, there was a surge of relief workers struggling to provide aid and supplies before monsoon season arrived. Landslides can block rivers with earthen dams that eventually burst, triggering flash floods (Huffington Post). On June 10, 2015, heavy rains produced a landslide that killed at least 55 people and injured many others in the Taplejung district of Nepal. 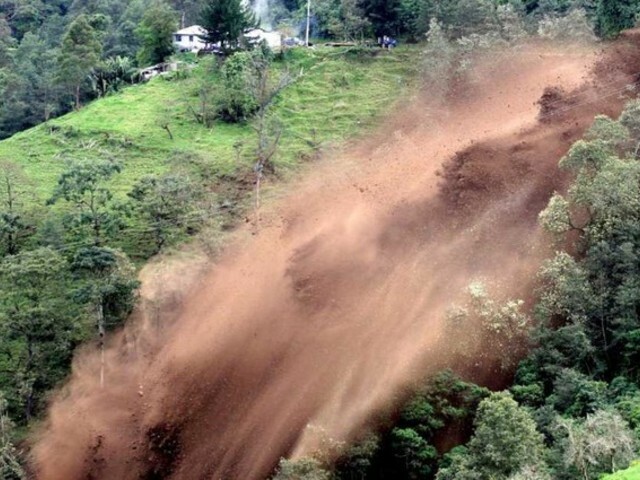 The bursting banks of two rivers caused this landslide (floodlist.com). Additionally, many illnesses, such as respiratory infections and hypothermia, increase significantly when people lack adequate shelter during difficult conditions, such as those of monsoon season (accuweather.com). Floods and landslides destroy roads, making it difficult for relief workers to reach those who were affected by the earthquake and ongoing monsoons to deliver assistance and medical treatment. What can be done to address monsoon related problems post-earthquake? Until the land has stabilized enough for farmers to plant crops, food security must be addressed through the provision of adequate food stocks to meet basic health and survival needs of the displaced. Pre-earthquake monsoon-related issues that have affected Nepali agriculture, such as a lack of irrigation systems and other infrastructure, must be addressed so rural farmers can avoid the uncertainties of monsoon season. 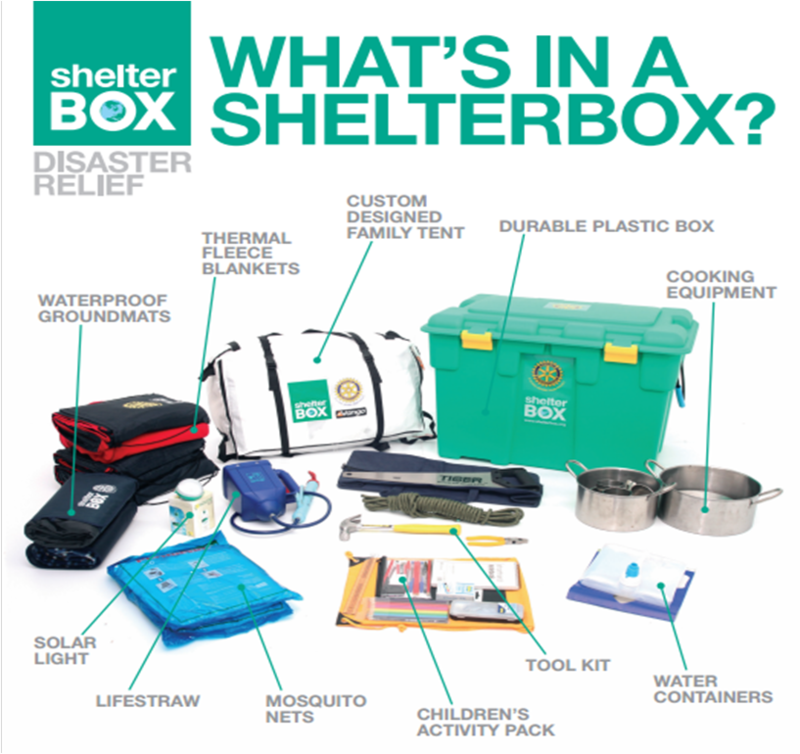 Immediate interventions include temporary shelters. Long-term solutions include new, structurally-sound, earthquake-resilient buildings that can withstand the environmental conditions associated with monsoons. Crisis mapping, a form of mapping that identifies which areas are most susceptible to landslides and flooding, is essential to assess the safest roads and zones for shelter. This will enable aid workers to more securely and efficiently reach the most people. Who is currently working on these issues? Provides “super” grains to farmers, enabling farmers to become self-reliant post-earthquake by planting crops that will hopefully survive monsoon season (unocha.org). Securing piping so farmers can locally source water for irrigation and improve the likelihood of crop survival (unocha.org). 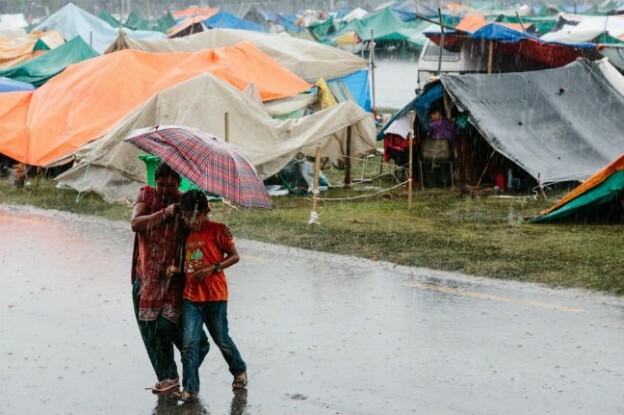 Organization that provides waterproof tents that withstand monsoon winds up to 70mph and remain dry in 6 inches of standing water to help alleviate the immediate shelter crisis (forbes.com). To help ensure that people have the greatest protection from future natural disasters, understanding the landscape is imperative. A Nepal-based organization, which began mapping the Kathmandu Valley years ago using the global mapping platform, OpenStreetMap. 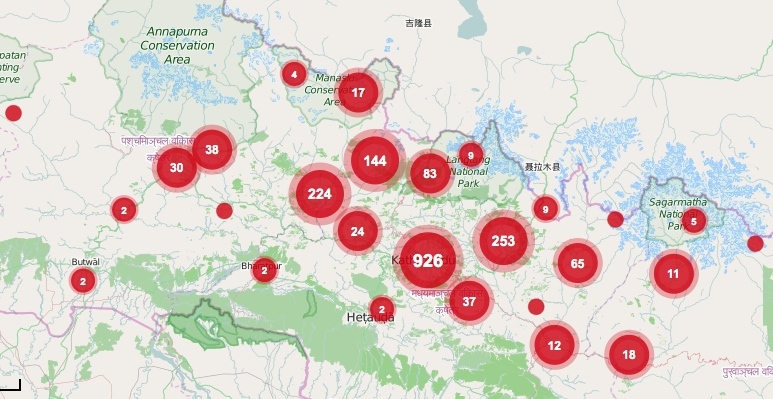 Post-earthquake, volunteers began mapping Nepal using high-resolution satellite imagery and uploading their data to OpenStreetMap, also (nationalgeographic.com). 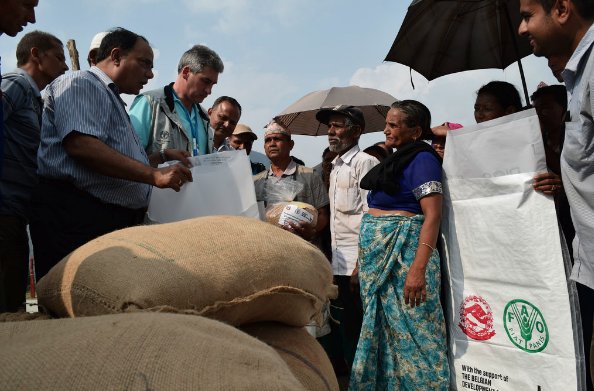 This information was invaluable to relief efforts and points to the ingenuity and commitment of Nepali people in the response. Launched mapping programs in anticipation of future disasters (floodlist.com and nationalgeographic.com). This will help Nepal and other countries identify weak regions of the landscape, so they can provide the necessary safeguards against future disasters.